Couples wanting the magic, memories, tradition and blessings of an intimate, private and special wedding, honeymoon or vow renewal ceremony are turning to the romantic seclusion and ambiance that Bed and Breakfasts offer. Within the scenic setting of a bed and breakfast, many offers a complete and intimate wedding experience. With elegant locations for wedding ceremonies, sophisticated reception areas, creative catering and dedicated, personalised service for a seamless event and memories that last a lifetime a bed and breakfast is truly an amazing place. We have compiled a list of our favorite romantic bed and breakfast for your special wedding occasion. B&Bs offer the personal attention to check every detail making sure your special day is as breathtaking and romantic as you imagine. A great, unique location like a bed and breakfast makes your wedding seem like you spent more money. Guests love the something-different appeal of a B&B wedding or stay, and it makes their travels for your wedding an adventure, or a romantic getaway for them as well. Below is a list of our favorite bed and breakfasts for hosting a wedding. Magnolia Mansion Bed and Breakfast - New Orleans, LA – Magnolia Mansion is the perfect New Orleans B & B accommodations for those seeking a peaceful Romantic Getaway to celebrate any special occasion such as an anniversary, engagement, honeymoon, elopement, proposal, birthday, or a quiet weekend away from the children. Whatever you desire, a traditional southern wedding or a unique theme wedding, your wish is our command. Magnolia Mansion is the perfect wedding and reception location. 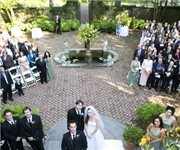 Whether your wedding party is intimate or large, our courtyard makes a memorable and romantic setting. Wedding and rehearsal dinners can be tailored to your specifications and catered in our beautiful dining room. Why not let Magnolia Mansion’s on site wedding coordinator take care of all of your wedding and reception needs. The Elms Bed and Breakfast - Natchez, MS – Established in 1882, The Elms Bed & Breakfast is a graceful historic property overlooking the Presumpscot River. With it’s classic architecture, well appointed rooms and amazing public spaces, it’s a beautiful place for your next event or function. Be it the Wedding itself, the Rehearsal dinner, or Bridal Shower (or even a baby shower). If you’re looking for a venue, formal or casual, with an intimate feel this just might be your spot. You provide the caterer (or cater yourself), we’ll provide the location with atmosphere. Dresser Palmer House - Savannah, GA – Ideally located within the nation's largest urban Historic Landmark District, Savannah's Dresser Palmer House offers an elegant setting with Southern hospitality to delight the most discriminating traveler. Built in 1876 by Henry Dresser and Samuel Palmer, this 11,000 square foot Italianate townhouse provides a variety of distinctive accommodations such as weddings. From the very moment you say “yes,” unforgettable memories are made. Allow us to create a unique wedding day that you and your families will forever cherish. Lumber Baron Inn - Denver, CO – A Luxury Bed & Breakfast Inn Mansion in Historic Highlands, near downtown Denver, with gardens--perfect for weddings. Make your wedding the most romantic day of your life at the Lumber Baron Inn & Gardens. Say "I do" in our lush gardens. Dance in the grand ballroom. And finally, luxuriate in the private Honeymoon Suite. We’ll be happy to help you plan your wedding or reception at the Lumber Baron. We can also recommend top-notch providers for wedding photography, cakes, catering and more. Rosewood Manor B&B - Port Tabacco, MD – Rosewood Manor is "the place" to have your wedding in southern Maryland. Brides have said "Rosewood Manor is a southern mansion suitable for filming a movie like "gone with the wind." When you enter the grand two story foyer, you'll step back in time to experience the serenity of an authentic country estate. Handsome finishes that lend to the enjoyment of your special day will surround you, such as the grand chandeliers, period wall mouldings, elegant double curved stair, antique furnishings, marble and hardwood flooring. Located in a quiet semi-rural setting, Rosewood Manor is near the county seat in southern Charles County and is home to many historic tourist attractions. The manor is ideal for indoor and outdoor weddings. HollyHedge Estate - New Hope, PA – HollyHedge Estate is one of Bucks County's premiere wedding destinations. Whether you want an intimate wedding or the grandest of affairs, our skilled staff is eager to help you create an event for all to remember. If you are looking for the fairy-tale wedding, look no further. Nestled in the rolling hills of beautiful Bucks County you will discover an elegant fieldstone manor known as HollyHedge Estate. Sitting on over twenty acres of property that is filled with bountiful floral gardens, waterscapes and classic stone terraces. Your event here will be unforgettable as there are countless photographic opportunities to be had for all seasons. We understand what it takes to create a dream wedding, meticulous planning and attention to the smallest of details. Rest assured that we will be with you every step of the way as our experienced wedding coordinators will attend to the needs of your event while you and your guests dance under the stars, relax in the gazebo, stroll along the stream and enjoy the grounds of this elegant estate. We will ensure that you celebrate your wedding care free and create memories that will last a lifetime! The Cuthbert House Inn - Beaufort, SC – Have you dreamed of a storybook South Carolina wedding? Many brides who have made that dream a reality with a beautiful wedding on the steps of this 200 year-old mansion overlooking the intra-coastal waters of Beaufort Bay. Our magnificent South Carolina bed and breakfast provides an unforgettable location for your special day. We can help you write your personal story into the history of this fabulous antebellum home. Is your dream an elegant wedding for 150 or less guests on these grounds under the trees, tents, and stars? An intimate ceremony by the sight and sound of the garden fountain? Or a crossed-sword military pomp and circumstance ceremony in dress blues on the front steps? We have done them all. Hartness House Inn Bed and Breakfast - Springfield, VT – The Hartness House is a landmark inn in Springfield, Vermont offering accommodations with 40 rooms, all with private baths, modern amenities, and a fine dining restaurant in a beautifully restored 1904 country mansion and estate. The elegant Hartness House Estates is the perfect destination for your unforgettable elope wedding and elopement. The Hartness House can make your wedding dreams happen easily from the simplest ceremony to the most elaborate lifetime event. We offer a variety of packages that make planning your elope simple and cost-effective. Our Elope Packages are designed to include all the important elements of an unforgettable wedding. Outdoor wedding ceremony and receptions can accommodate up to 250 on our private, secluded landscaped lawns. Our attractive Wedding garden features a large water fountain and vine-covered pergola columns. Gingerbread Mansion - Ferndale, CA – Ferndale's Gingerbread Mansion is well known as one of northern California's most photographed inns. This boutique hotel bed and breakfast inn is a spectacular example of Victorian splendor, both inside and out. The exterior of Ferndale's most celebrated B&B hotel boasts spindlework, turrets and gables, as well as a formal English garden. Your wedding or elopement is one of the most important events of your life. Here at Gingerbread Mansion, on the Northern California Coast, we offer you a romantic setting appointed with fine amenities, exquisite ambiance and gardens, as well as luxurious accommodations. Let the professionals at the Gingerbread Mansion Inn and Gardens ensure the success of your special day. Canyon Ferry Mansion - Townsend, MT – Canyon Ferry Mansion Bed and Breakfast is the ideal location to relax and unwind. Located next to Canyon Ferry Lake, Montana’s premier sportsman’s lake, the Mansion lies between the Elk Horn and the Big Belt Mountains, adjacent to the Canyon Ferry at the Missouri River Wildlife Refuge. The refuge lies just north of the famous Crimson Bluffs on the Trail of Lewis & Clark. You can choose to have your wedding ceremony in either our Grand Salon or out in our beautiful Large Party Pavillion and spacious grounds. You can be wed on our Edwardian Trellis Platform in front of your guests. We can provide dressing rooms, chairs, parking , tent rentals and much more to make your wedding a memorable event. We also offer lodging for the bride and groom plus their guests. We have a variety of rooms available for couples and families, as well as a rustic Bunk House and a romantic Creekside Cabins, for the more adventurous. The Mansion provides a wide range of amenities and comforts including Hot Tub, Steam, Sauna, Jacuzzis, and Tanning Booth. Thinking about a wedding at a bed and breakfast? Most B&Bs are so well-appointed, with dramatic fireplaces and Victorian furniture, vast wraparound porches, elegant window treatments, blooming gardens with cast iron benches and tables, and beautiful staircases, that their existing beauty only needs a few floral touches. The place itself is so gorgeous, there's not much you'll have to bring in. Compare that to a blank-slate hotel ballroom that needs extensive décor to make a visual impact, and the benefit is clear: the B&B is fabulous on it own! The perfect B&B for your wedding is located in a great town, such as a quaint little tourist town with museums and street festivals, antiquing, horseback riding, orchards, beaches and wineries nearby. Some provide bicycles, and some provide maps of walking tours with great restaurants and fudge shops marked. Since wedding weekend events are all the rage, the perfect location can give your guests lots to do on their own, in groups, or as part of a tour or outing planned by you. Lost Mountain Lodge - Sequim, WA – award-winning lodging in Sequim -- provides an idyllic romantic getaway, the ultimate bed & breakfast weekend escape, and superb family vacation rental cottages close to the Olympic National Park on the magnificent Olympic Peninsula in Washington State. This is the perfect bed and breakfast for a wedding, simply sublime honeymoon or special anniversary. Brewery Gulch Inn - Mendocino, CA – Up to 50 guests can be accommodated for an hors d'oeuvres reception in both our Great Room and on our deck; or up to 35 guests can be seated for table service. Our talented chef, Rick Anderson, will work with you to create the perfect menu incorporating the finest locally-sourced organic ingredients wherever possible. Whatever your choice, we will work with you to make sure that your celebration is memorable. Finally, we will arrange wedding coordination for you and we will discount rooms at our best rate to accommodate overnight stays for consultations and vendor meetings. Brewery Gulch Inn....warm, intimate, personal. Candlewycke Inn B&B - Bigfork, Montana – Small intimate weddings are availabe at the Candlewycke Inn for groups of 2-100 in an outside venue. Create a fairytale occassion in our wooded retreat. Manicured lawns, private fenced area, Gazebo adorned with lights and flowers. Be the Cinderella you've always dreamed of !! Northside or Southside lawns offer special areas for photography. Stone Crest Cellars Bed and Breakfast - South Beach, OR – Stone Crest Cellar Bed and Breakfast is an extraordinary retreat on the Pacific Ocean's edge. Located just minutes from the town of Newport, Stone Crest Cellar offers the ultimate ocean experience. Stone Crest Cellars Bed & Breakfast is an OCEAN FRONT secluded paradise. It is the perfect location for holding either a small and intimate elopement, or a larger wedding and reception. There is no other place like this on the Northwest Pacific Coast! Indoor romantic Great Room facilities and Outdoor ocean-front ceremonies & receptions. Bybee's Historic Inn - Jacksonville, OR – Welcome to Bybee's Historic Inn, an elegant five room Bed and Breakfast on the National Historic Register. Our Classic Revival Victorian era home is situated on 3½ acres, centrally located just one mile from the Britt Gardens in Jacksonville Oregon, 15 miles from Ashland, and 6 miles from Medford. Visit Jacksonville's unique shops and historic ambiance, the Britt Festivals or Ashland's Shakespeare Festival. Bybee's is the perfect intimate B&B for you and that special person or weddings, up to 150 people. Youngberg Hill Vineyard and Inn - McMinnville, OR – Oregon’s premier wine country inn and one of Wine Spectator’s favorite location; Youngberg Hill Inn sits atop a mountain with commanding views over the valleys below. Located on 50 acres and surrounded by 22 acres of award-winning Pinot Noir & Pinot Gris. We can accommodate up to 400 guests in our exclusive outdoor event site (June - Oct) or inside up to 50 guests (Oct.- May). 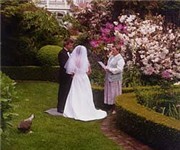 Olallieberry Inn - Cambria, CA – Please consider Olallieberry Inn as the ideal setting for your special day. We work with you to provide the exact services and amenities needed to make your wedding or elopement an exquisite affair to remember for all times. Tin Lizzie Inn - Fish Camp, CA – The Tin Lizzie Inn, a small elegant Victorian Bed & Breakfast with all the charm of yesteryear, with a chance to drive an original Model T Ford. We are located in Fish Camp, CA across from Tenaya Lodge, just two miles from the Southern entrance to Yosemite National Park and one hour North of Fresno. Red Bud Manor - Eureka Springs – A simple yet elegant wedding & honeymoon destination -- Eureka Springs, Arkansas, Red Bud Manor Bed and Breakfast Inn is the perfect place for a small intimate wedding, vows renewal or marriage proposal. The formal parlor and dining room with its keyhole arch doorway provides a beautiful setting for your special day. A Chippendale table and sideboard with candelabras and other French and English antiques lend a romantic and elegant atmosphere to your ceremony. Main Street Inn Angels Among Us Wedding Chapel - Eureka Springs – At Angels Among Us Wedding Chapel, we can arrange the perfect wedding to accommodate from 2 to 100. We can also handle your reception, making your wedding a worry free event. At Angels Among Us Wedding Chapel, we can arrange a cozy little reception for just the two of you, or we can setup the whole event to handle up to 100 of your wedding guests. Wildflower Bed & Breakfast-On The Square - Mountain View – Planning a wedding for just the two of you? Our lovely B&B will be the perfect setting for a small, informal wedding either indoors or outdoors. We will make arrangements for a justice of the peace to perform your ceremony and plan one hours use of our parlor or wooded backyard for the ceremony. We will also provide the bride with a small floral bouquet for the ceremony. After the wedding, toast one another with sparkling grape juice in two commemorative flutes. 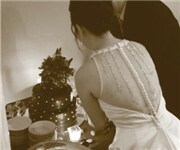 You will also enjoy a homebaked wedding cake for 2 to celebrate your marriage to one another. A romantic dinner for two at your choice of area restaurants will be the perfect way to relax after your perfect "Wedding for Two". Black Forest B&B Lodge & Cabins - Colorado Springs, CO – Picture yourself in the Majestic Black Forest overlooking the city of Colorado Springs and the Rocky Mountains! You are the Artist and we are the canvas when it comes to your unique outdoor wedding! We have a gazebo for ceremonies with Pikes Peak and pine trees as your backdrop. The Kingsley House - Fennville, MI – We offer two options for intimate and romantic weddings at our classic Victorian Inn. Memorable Michigan Romantic Getaways begin here at our Saugatuck area Bed and Breakfast Inn. Our Romantic Charm makes us the ideal Michigan setting for a romantic getaway. an enchanting wedding and honeymoon, memorable anniversary celebration or romantic weekend getaway. Ideally located in the center of Saugatuck, Holland, South Haven Lake Michigan and Allegan Forest. Arsenic and Old Lace - Eureka Springs – Escape to this Queen Anne Victorian style Bed and Breakfast mansion in the beautiful Ozarks of Eureka Springs Arkansas; unsurpassed service from your hosts awaits you. Perfect for any getaway from pet friendly to weddings. Nestled on a wooded hillside in the Eureka Springs Historic District, our luxury Bed and Breakfast Inn offers luxurious rooms and suites, with peaceful views of the Arkansas hills and beautiful gardens from its large, wrap-around veranda. Both the garden and veranda are perfect for intimate wedding services. The Inn at Rose Hall - Eureka Springs – We pride ourselves in creating Eureka Springs weddings that endear life-long memories. Our Arkansas wedding parties are small (2-20 guests), which allows us to give each couple personal attention as they plan their nuptials in Eureka Springs, AR. Some couples prefer very simple services — short and sweet. Some brides want to make a grand entrance down the staircase into our Victorian Parlor where the groom and guests see her in her wedding gown for the first time. It’s a breathtaking moment. Some weddings include the children because they are a part of the union. Recently one couple presented their daughter with a tiny ring during the exchanging of the rings. Let innkeeper Zoie Kaye assist you in creating the Eureka Springs wedding of your dreams. Hamilton House B&B - Whitewater, WI – You are carried away to the charm of the Mid-Nineteenth Century when you enter this unique Second Empire Mansion built in 1861. Grand common areas provide enjoyment for your leisure while comfortable romantic rooms make your nights serene. Hamilton House is included in the National Registry of Historic Homes. Providence Inn Bed & Breakfast - Providence, UT – The moment you enter the Old Rock Church you will feel the history and elegance. It is quite a unique experience. There can be no more auspicious setting for the glorious Wedding you are planning. For a truly relaxing evening, we invite you to experience the ease, elegance, and provincial charm you'll find here at the Providence Inn Bed & Breakfast. We are located in the peaceful town of Providence, Utah, just minutes from downtown Logan, in beautiful Cache Valley. Fountainview Mansion - Auburn, AL – Create the wedding of your dreams and indulge yourself with the ultimate in luxurious surroundings and distinctive and elegant accommodations! Come home to Fountainview and experience the grace and elegance that can be yours for your special day. From your first drive up to the summit of Fountainview Mansion, you will be transported to another time and place, away from the hustle and bustle of everyday life. Fountainview Mansion is located on 18 secluded acres of pristine grounds with panoramic views of the Alabama countryside. Riverbend Inn - Chocorua, New Hampshire – The Riverbend Inn is located in Chocorua, N.H., less than one mile from Mount Chocorua and Lake Chocorua. Whether you're planning a wedding, civil union, a commitment ceremony, an elopement, renewal of vows, family reunion or landmark birthday celebration, Riverbend Inn offers the ideal location for your memorable event. We specialize in small, intimate gatherings from two to fifty. Come Wright Inn Bed & Breakfast - Ventnor City, New Jersey – The Come Wright Inn is becoming a favorite choice for weddings, vow renewals and receptions conducted at our beautiful Atlantic City area Bed and Breakfast Inn located in Ventnor NJ. We specialize in small, intimate traditional weddings, beach weddings, garden weddings, honeymoons, and romantic getaways. A Come Wright Inn wedding package is available at affordable pricing and is your premier choice for the ceremony, reception and a Bed and Breakfast honeymoon- something you will always remember and everything you have dreamed of and more. Robert Morris Inn a Waterfront Country Inn - Oxford, Maryland – Want a wedding in the St. Michaels, Easton, Oxford, Maryland area? A waterfront wedding at our Sandaway Property could be your ideal location to have your ceremony. Robert Morris Inn offers an inspiring and memorable setting for an intimate, romantic wedding, vow renewal or other ceremony. Have your ceremony on our expansive 2-1/2 acre lawn, shaded by majestic trees, or on our sandy private beach — both with views of the river and the Chesapeake Bay beyond. 1847 Blake House Inn Bed & Breakfast - Arden, North Carolina – The 1847 Blake House Inn B&B provides the perfect setting for indoor and outdoor weddings, receptions, parties, family reunions, crafting weekends, and meetings. The Inn's facilities include 2 dining rooms, 2 covered porches, a large outdoor patio, gazebo, arbor, and beautifully landscaped grounds. The Swag Country Inn - Waynesville, NC – It is difficult to imagine a more beautiful, natural setting to serve as the backdrop for the celebration of a marriage. Most weddings at The Swag are relatively small events, roughly 50 to 75 people in size (maximum of 100). The couple and their immediate families and closest friends usually reserve the entire inn for at least two nights. Other friends and family can be accommodated at nearby lodging facilities. Our one of a kind location and our welcoming hospitality at The Swag create a casual elegance and relaxing atmosphere for North Carolina retreats, meetings and events. Whether it’s a family reunion, executive retreat, brainstorming session, or product unveiling, you won’t find a more unique venue to relax, generate creative ideas, or simply enjoy the company of colleagues or loved ones. Sobotta Manor Bed and Breakfast - Mount Airy, NC – Our home is also ideal for small and intimate weddings and receptions performed outdoors in our formal English garden or in our elegant home. Secluded from Pine Street, the well landscaped yard and formal gardens provide a beautiful and tranquil park-like setting for your special day. We can accommodate up to 25 people and offer set ups of tables, chairs, linens and tents, we also work with a local florist to obtain beautiful flowers and centerpieces. And provide the most professional options for catering around using only the best to insure the perfect result. All of our Sobotta Manor Elopement, Wedding and Vow Renewal Packages can be customized to address the individual needs of each couple. Thistle House Bed and Breakfast - Granite Falls, NC – The Thistle House is glad to host your garden wedding with the help of a certified Wedding Coordinator and Planner. Thistle House can accommodate up to 150 guests or more for an outdoor wedding under a tent or up to 25 - 30 guests indoors in front of the fireplace. Bayfront Marin House - St Augustine, FL – The Westcott House Bed and Breakfast, built in 1880, will take you back in time to the Victorian Age. It is one of the few inns located directly on the magnificent Matanzas Bay and within walking distance of historic St Augustine . Each guest room is romantically decorated with period antiques, some with double Jacuzzis and fireplaces. Coombs House Inn - Apalachicola, Florida – A wedding is one of life's magic moments to be savored for its romantic associations, to be lovingly shared with family and friends, and to be cherished forever in fond memory. The Coombs House Inn, with its nostalgic atmosphere of a more tranquil, by-gone era, provides just the right setting for this most important of family occasions. For those who may prefer a church ceremony before the reception, the historic Methodist Church and venerable 1836 Trinity Episcopal Church are just next door. The handsome St. Patrick's Catholic Church is only a block away and the 100-year-old Baptist Church just up the street. The Gastonian Bed and Breakfast Inn - Savannah, GA – The Gastonian offers the ultimate experience for Savannah's distinguised guests. Set in a residential neighborhood on Gaston Street near Forsyth Park, the Inn is known for its intimate atmosphere, authentic antiques, grand decor and personalized hospitality. Let the staff at The Gastonian help you plan the wedding of your dreams. The Inn is located just moments away from beautiful wedding locations such as Forsyth Park, Savannah’s romantic gazebos and squares, and many historic downtown houses of worship. Eliza Thompson House B&B - Savannah, GA – The Eliza Thompson House is an exquisite 1847 inn located in historic Savannah. Recommended by Conde Nast Johansens and known for superior service, the inn is private, peaceful, and just a short walk from Savannah's best-loved historic attractions. Picture the perfect wedding celebration at the Eliza Thompson House, one of Savannah's oldest and most elegant bed and breakfast inns. Our brick-paved garden courtyard with moss-draped trees and glorious greenery provide the perfect backdrop for beautiful brides. For a distinctive, one-of-a-kind setting for your wedding, reserve the elegant rooms and courtyard at the Eliza Thompson House for your family and friends. For a romantic honeymoon or anniversary, choose our Romance Package.